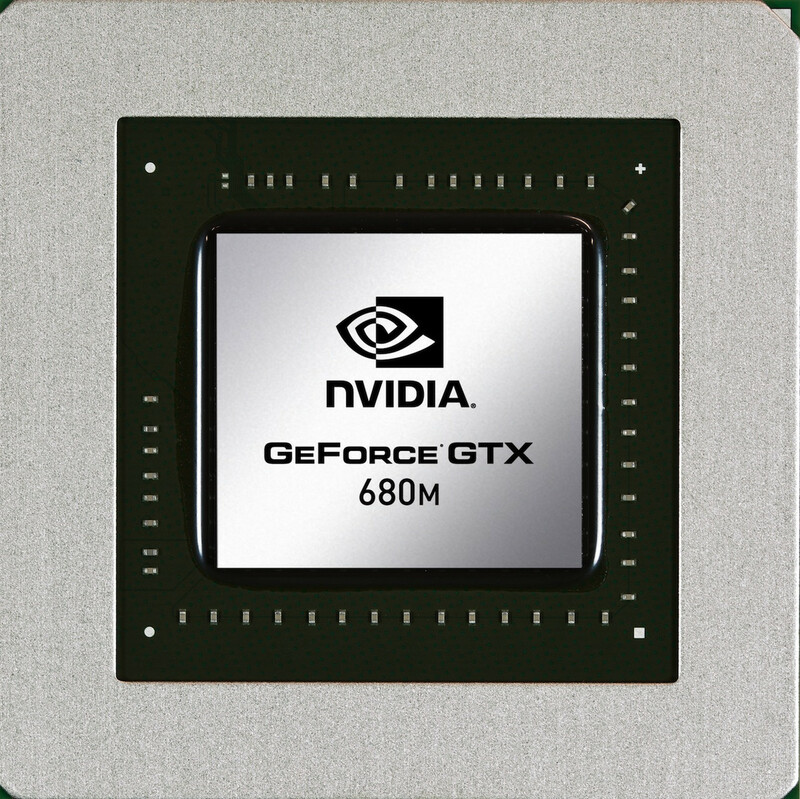 The NVIDIA GeForce GTX 680M is a high-end DirectX 11.1-compatible graphics card for laptops and was announced during Computex 2012. It was the fastest GPU available for notebooks at the time of announcement and has a 28nm GK104 core based on the Kepler architecture. Compared to the desktop GeForce GTX 670, the GTX 680M also features 1344 CUDA cores, but the mobile counterpart operates at reduced core and memory clock speeds (720/1800MHz vs 915-980/3004MHz). The Kepler architecture is the successor to the Fermi architecture that first appeared in laptops with the GeForce 400M series. The GK104 Kepler core offers eight shader blocks, called SMX, that are clocked at the same speed as the central core. In the GTX 680M, 7 blocks are active leading to the 1344 CUDA cores. Although more shader cores are available in the Kepler architecture as compared to the Fermi design, the Kepler shaders are still expected to be up to twice as power efficient. However, due to the missing hot clock of the shader domain, two shaders of a Kepler chip are of similar speed to one shader of a Fermi chip (as the latter is clocked twice as fast). PCIe 3.0 is now supported by the mobile Kepler series and an optional Turbo mode can automatically overclock the Nvidia card by a theoretical 15 percent if the laptop cooling system allows it. The implementation of this boost mode is done in the BIOS, but it is ultimately dependent upon the manufacturer of the laptop. The graphics performance of the GeForce GTX 680M is on average above the Radeon HD 7970M, thus making the Nvidia card the fastest mobile graphics card as of summer 2012. The GPU has enough power to run demanding games of 2012 fluently with Full HD resolution and maxed out graphical settings. Only the extremely demanding title The Witcher 2 will not run fluently in ultra settings. Battlefield 3, Skyrim, and Crysis 2, for example, are playable at the highest detail settings. The power consumption of the GeForce GTX 680M should be similar to the GTX 580M and therefore best suited for large notebooks (17-inches or greater) and desktop replacements.